Award-winning illustrator Torben Kuhlmann’s stunning new book transports readers to new depths where imagination lights the way! A long time ago, one mouse learned to fly, another landed on the moon...what will happen in the next Mouse adventure? 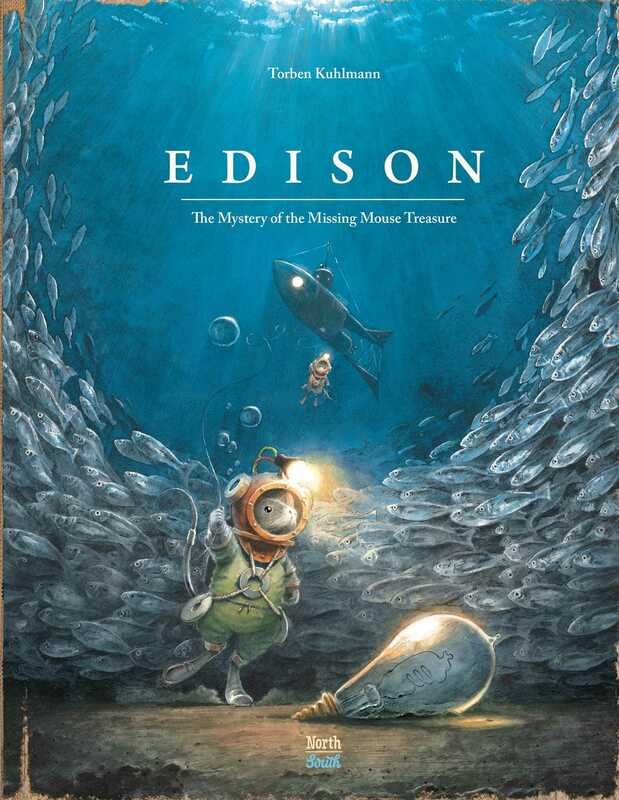 From the creator of Lindbergh—The Tale of a Flying Mouse and Armstrong, comes Edison—The Mystery of the Missing Mouse Treasure. When two unlikely friends build a vessel capable of taking them to the bottom of the ocean find a missing treasure—the truth turns out to be far more amazing. *Starred Review. Edison is a beautiful and inspiring tale about two tiny creatures who refuse to belittle themselves by accepting the limits of “Never!” and who are awarded with history-shaping truth for their efforts. *Starred Review. Kuhlmann has created another science-based adventure full of delightful details. As in Kuhlmann's Armstrong (2016) and Lindbergh (2014), the journey turns out to be at least as rewarding as the prize. Recommend this engrossing mix of STEM and animal adventure to kids fascinated by engineering or invention.